Capcom intends to hire 1,000 more developers over the next decade. Despite Capcom's insistence that collaboration with Western developers is important, the publisher's results have been mixed. 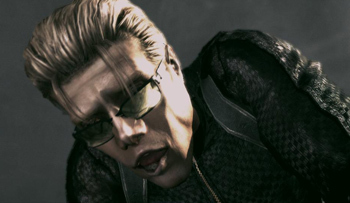 Dead Rising 2 and Resident Evil: Operation Raccoon City did well - in fact, the latter sold 2.1 million copies despite a critical response that averaged somewhere between stifled laughter and outright sobbing - but Bionic Commando and Dark Void both sank. According to an investor conference held last week, the publisher is looking to up the quality of its titles by focusing on internal development. To that end, it plans to bring in another 1,000 workers over the next ten years to complement its already massive stable of 1,500 developers. Most of the new developers will be put to work on console titles, but the company also plans on expanding its mobile and online PC divisions. Capcom is currently working with a number of Western developers on future projects. England-based developer, Ninja Theory, is currently working on a controversial installment in the Devil May Cry series, while Turning Point developer, Spark Unlimited, is hard at work on Lost Planet 3. Interesting-looking sci-fi sneak-in-and-force-them-to-commit-suicide-em-up, Remember Me, is being developed by Paris-based developer, Dontnod. Previously, Hideaki Itsuno, director of Devil May Cry 2, 3 and 4, said there was no game in the Capcom stable the company wouldn't consider developing in collaboration with a Western studio. At this point, I don't think any Megaman Legends fans actually care who develops Megaman Legends 3 as long as someone does.